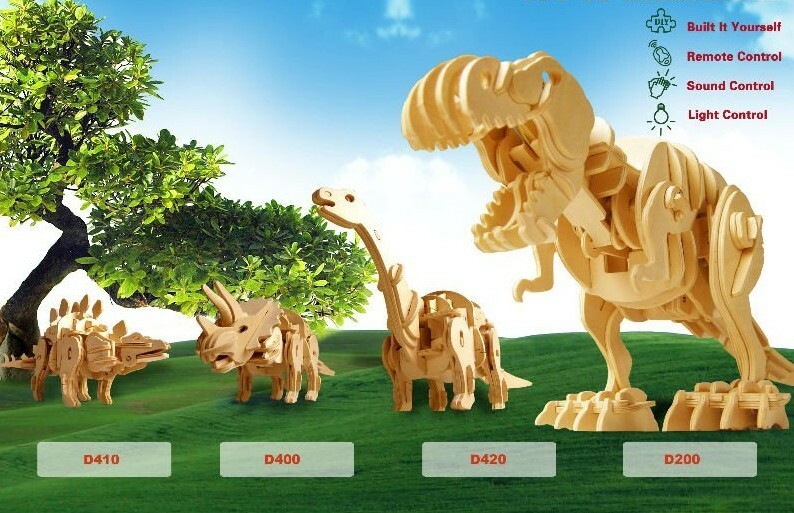 World's first "Alive" wooden 3D wooden toy for children, patents authourized by international organization. Function Can walk ,run, bit and roar after assembled. Sound (clap or other voices) may make dinosaur move and howl. Clap 1 time: he can walk ahead and howl. Clap 2 times: he can run fast and howl. Clap 3 times: he can run slow and howl.